Coast 2 Coast Mixtape Promotions and HaHaHa Productions Pressent DJ Cellblock’s Latest Mixtape Project, Entitled “Waiting For Fame,” Available for Free Download From Coast 2 Coast Mixtapes. 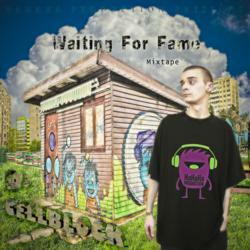 DJ Cellblock recently released his mixtape “Waiting For Fame.” Coast 2 Coast Mixtapes presents the project in association with HaHaHa Productions. It is now available for free download. “Waiting For Fame” features DJ Cellblock on tracks with guest artist appearances from Vic Rippa, Stylistic, Cristle J, Phatboy Beats, Alex V, J. Creole, Ammo, Treal, Franchise, Bailz, DJ Clay, Pacha Man, and Doc. After more than six years in which he produced beats for artists such as Codu Penal (as a DJ and beatmaker of the group alongside Cabron and Shoby), Smiley, Don Baxter, Alex Velea, Grasu’, XXL, Karie, Cedry2k, and more, Cellblock began work on his first album as a DJ and producer. The HaHaHa Productions member unveiled the first single from the project, “Me Not Afraid,” a collaboration with Pacha Man and Doc in May 2011. “100% Hip-Hop” is expected to be ready at the end of this year. Cellblock joined HaHaHa Productions when it was just an idea. It has now developed into a studio in which the family produces and composes songs from different musical genres—working as a team to achieve truly great things. With a strong background as a producer, DJ Cellblocks division deals with hip hop.